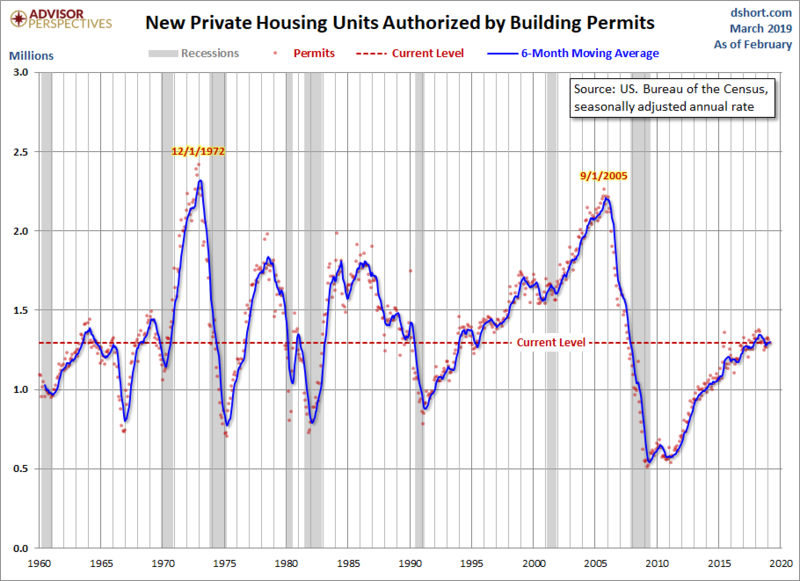 The U.S. Census Bureau and the Department of Housing and Urban Development have now published their findings for January new residential building permits. The latest reading of 1.296M was a decrease from 1.317M in January and below the Investing.com forecast of 1.320M. Here is the complete historical series, which dates from 1960. Because of the extreme volatility of the monthly data points, a 6-month moving average has been included. Here is the data with a simple population adjustment. The Census Bureau's mid-month population estimates show substantial growth in the US population since 1960. 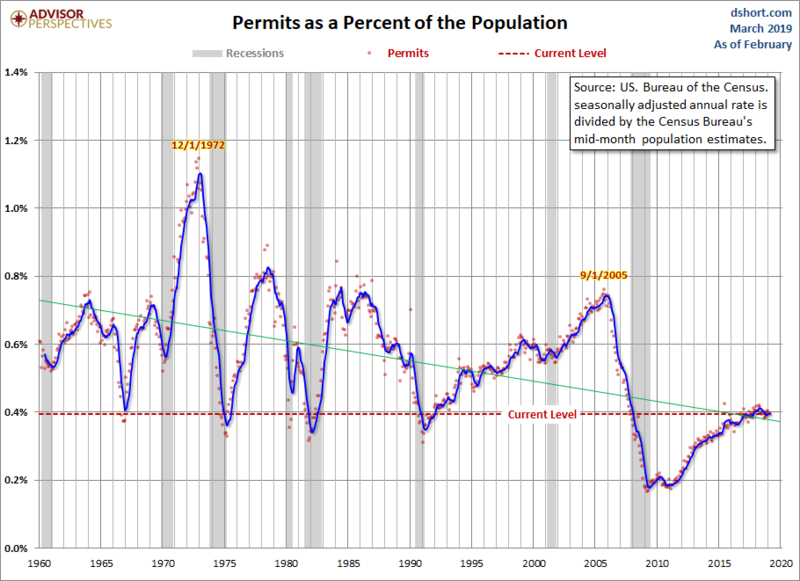 Here is a chart of housing starts as a percent of the population. 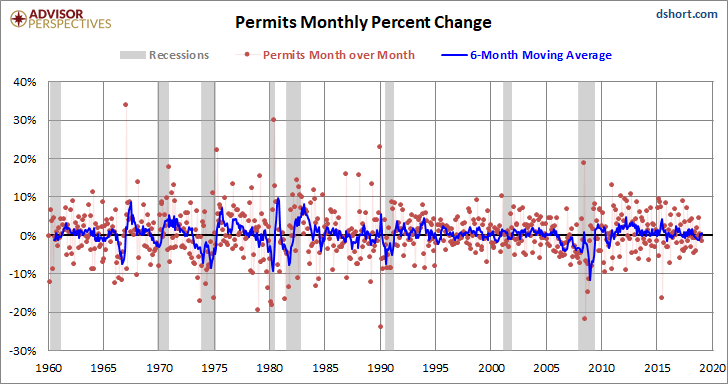 We've added a linear regression through the monthly data to highlight the trend. The extreme volatility of this monthly indicator is the rationale for paying more attention to its 6-month moving average than to its noisy monthly change. Over the complete data series, the absolute MoM average percent change is 4.4%. The MoM range minimum is -24.0% and the maximum is 33.9%.